A humble youth. A paranormal gift. A haunting history. In 1974, Shane Sullivan is a quiet, gangly teen in the suburbs of Boston who discovers he can explore the ancestral memories of a persons lineage. Confused and frightened, his pursuit of this supernatural ability takes him down a dark and unexpected road of history long forgotten or rewritten by historians. With the aid of his two friends, Jimmer and Paige, he contemplates a more ruthless version of the reality he thought he knew. 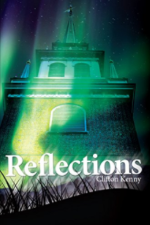 Shane finds himself on a shocking journey into a celestial world of truth that puts him face-to-face with his own destiny. 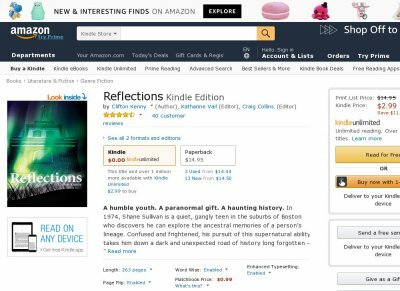 Filled with ghostly, historic discoveries of good versus evil, Reflections is a faithful, mystical tale about one teens unique coming of age.